Turin: Juventus defender Giorgio Chiellini has suffered a torn hamstring muscle, the champions confirmed on Monday, and will be miss this weekend's clash against Inter Milan and possibly the rest of the season. 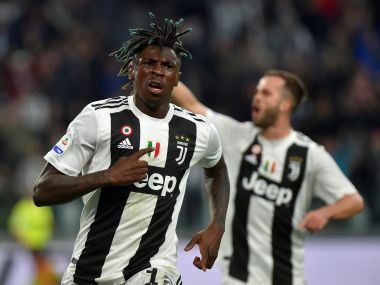 The news is a blow for the six-time defending champions after Napoli reignited the title race with a last-gasp 1-0 win in Turin on Sunday night to cut Juventus' advantage to just one point. Juventus never looked comfortable in their Allianz Stadium after losing veteran Chiellini — who is their best defender and a team leader — inside the opening minute. The 33-year-old gritted his teeth and tried to play on but was forced off ten minuets later with a knee problem. "Chiellini underwent medical tests following his early exit from Sunday's match against Napoli," Juventus said in a statement. "Following the examinations, in which appropriate caution was taken due to the nature of the injury, it has been revealed that Chiellini suffered a tear to the biceps femoris muscle in his left knee. "Chiellini, who will undergo further tests, has already started his therapy." 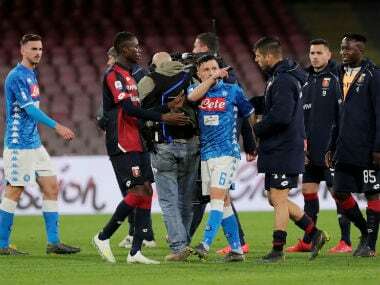 He will miss Saturday's trip to the San Siro but for the former Italian international the season could already be over with just four games to play and the Italian Cup final against AC Milan on May 9. 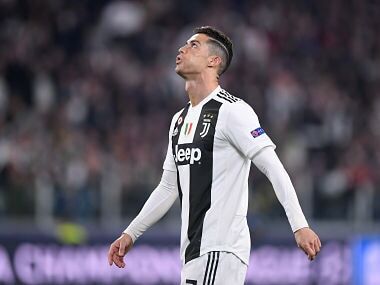 Allegri, meanwhile, defended his side who showed signs of tiredness after a gruelling season in which they were eliminated from the Champions League by Real Madrid in the quarter-finals. "We've played 57 games in each of the last four seasons," Allegri said after the match. 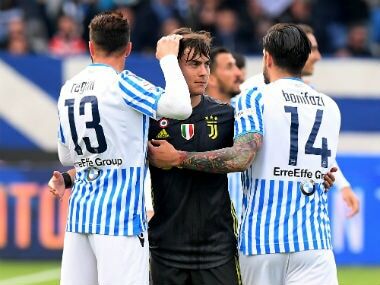 "We've always reached the Italian Cup final, while we have made the Champions League final twice (in the past three years) and were eliminated with 30 seconds left on two occasions. "The others are already out of everything in November, yet no-one says anything. When you play at the rate we do, I think it's normal to be tired. "You can't criticise these lads under any circumstances. If you do, you'll also make me lose my patience, which I have plenty of." Napoli — bidding for a third title after 1987 and 1990 — travel to Fiorentina on Sunday.